Following this method will help you separate out the circuits you need and use. This only should be undertaken by your fully qualified electrician, but here are some pointers. 1) Lighting circuits - 6 amps - These days, lighting circuits are a little easier to calculate as most new build and rewiring projects usually utilise a large proportion of LED lighting in the finished dwelling. LED consumes considerably less power than older incandescent and halogen light sources which means it is almost impossible to exceed the standard 6 amps on one circuit. 2) Power - 16 amps - The 'Ring Final' circuit (what used to be called 'Ring Main' colloquially in the UK), is the circuit which distributes power to sockets. You should consider the fact that it is likely you will use more sockets simultaneously in the lounge and kitchen than the bedrooms for example. Devices in the kitchen for example may include dishwasher, washing machine, kettle, food processor all plugged in and in use, simultaneously drawing power on the same circuit, whilst only a hairdryer is in use in the bedroom. 3) Appliances such as ovens and electric showers tend to draw a lot of power and are usually put on individual circuits of 40 amps. It is important to define your 'mission critical' circuits and are entirely unique to the individuals living in the dwelling. One family may consider these to be smoke alarm, garden office circuit, swimming pool pump, stairwell lighting. Another home owner may consider these to be hallway lighting, tropical fish tank, fridge freezer, security system. These circuits will all be protected by RCBOs. A Residual Current Breaker with Over-ride protects against both residual current (which causes electric shock to humans) and over load (which can cause fire in cables and damage to appliances). This means that the circuit is protected individually. 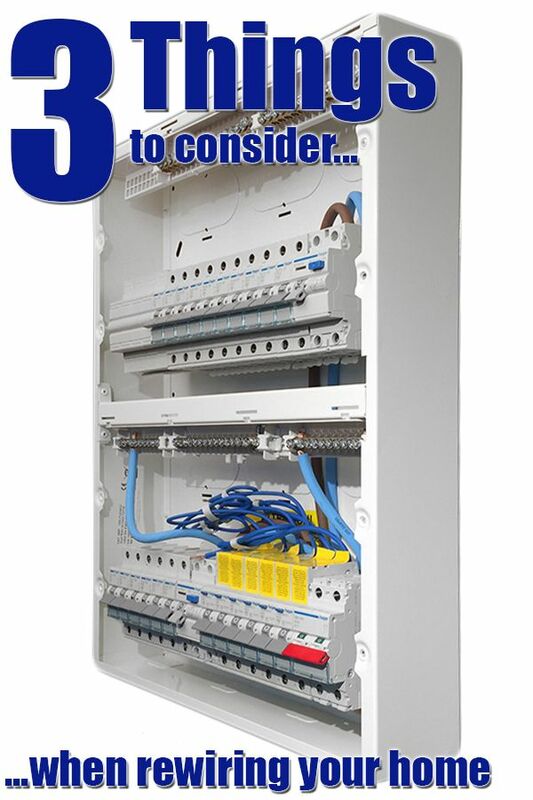 All the other circuits are protected using a combination of MCBs (which protect individual circuits against over load) and one RCD (which protects a bank of MCBs - anything up to ten circuits) against residual current. This means that an RCD will cut the power to all circuits it is protecting if it detects a fault on one of them. ...and this is why you would want to use RCBOs for mission critical circuits.